He takes out his accordion to play outside, but when the nearby grazing cows hear it? They stampede over to get a better listen! It’s a cacophony of tingling bells (from the cows’s collars) and the accordion’s jolly music. The cows can’t get enough! They just love hearing the happy tunes and it’s clear they’ve never heard anything like it before! Who knew cows enjoyed good music?! LOL this is the cutest thing….Aww! You’ve gotta see this in action for yourself, it’s adorable – Watch the video below! 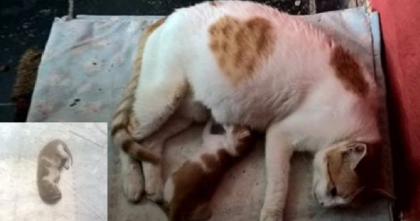 He Rescued A Stray Cat With Unusual Markings, But Then A Few Days Later… Awwwww!! 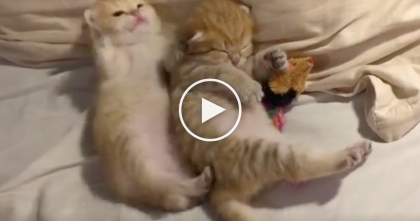 Ginger Kitten Is Trying To Get Some Sleep, But Then… He Just CAN’T Sleep, LOL. This Is Hilarious! 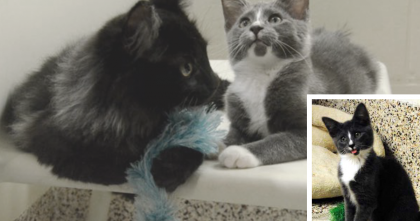 Blind Kitten Became Friends With A Fluffy Black Cat For A Special Reason… AMAZING. Little Kitten Cries With Desperate ‘Meowing’ For The Bottle, But Moments later… SOO Sweet! !